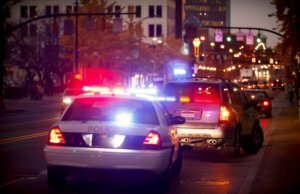 What Are Tennessee DUI Defense Laws? If you or a loved one is facing DUI charges in Tennessee, then a criminal defense attorney may be able to help you get those charges reduced or dismissed. Alternatively, a personal injury lawyer can assist you if you sustained injuries in a drunk driving accident. Consult our local listings to find legal help near you. Otherwise, feel free to ask the lawyers any questions you may have regarding DUI laws. What Is Driving Under the Influence, According to Tennessee Law? Since drug and/or alcohol intoxication can endanger a driver as well as anyone else on the road, it is illegal to operate a motor vehicle while impaired in all 50 states. Doing so is a criminal offense variously called Driving Under the Influence (DUI), Driving While Intoxicated (DWI) and, rarely, Operating Under the Influence (OUI). In Tennessee, state laws use DUI to refer to impaired driving. Generally, your level of alcohol impairment is gauged by testing your Blood Alcohol Content (BAC). This refers to the percentage of alcohol dissolved in your bloodstream. Each state sets its own limits for what BAC constitutes alcohol impairment, although every state but Utah currently sets the legal limit at 0.08%. However, this limit may be lower for certain drivers. Tennessee also has an additional category of alcohol offenses: Driving While Alcohol Impaired (DWAI), which occurs if your BAC is between 0.05% and 0.08%. What Are the Penalties for DUI in Tennessee? Second DUI. The penalties for a second DUI conviction may include 10 days to one year in jail, a fine from $600 to $1,500, 48 to 120 hours of community service, and/or a suspension of your license for up to a year. Additionally, you may have to use an ignition interlock device (IID) for up to two years after the reinstatement of your license. What Are Tennessee Drunk Driving Statistics? According to the CDC, approximately 1.1 percent of Tennesseans have admitted to driving after consuming too much alcohol. This compares to 1.9 percent of Americans who admit to drunk driving. From 2003 to 2012, nearly 3,500 individuals were killed in these preventable wrecks. The average number of deaths caused by drunk driving for every 100,000 people is higher in Tennessee than in the nation as a whole. In many cases, a criminal defense attorney may be able to help you reduce the impact of DUI charges on your life. If you have questions or concerns about DUI laws, then do not hesitate to ask the lawyers. Otherwise, if you need to speak with a lawyer, then consult our local Tennessee listings.